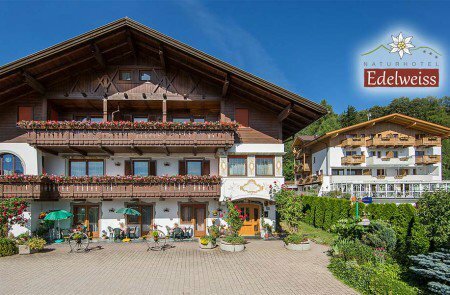 Your accommodation Terento in our Nature Hotel Edelweiss is located in the idyllic low mountain landscape of Terento – one of the sunniest areas of South Tyrol. The old parish church is the centre point of our town. Even if our hotel is situated close to the forest, it is only 150 meters away from the town centre. The charming houses and well-kept gardens around the parish church radiate the typical South Tyrolean flair. A small super market and other shops will sell you fine groceries. On top, your accommodation Terento in our Nature Hotel Edelweiss is just a few steps away from a big playground and a miniature golf course. The famous holiday region Plan de Corones offers countless fun activities and is just 18 km away. 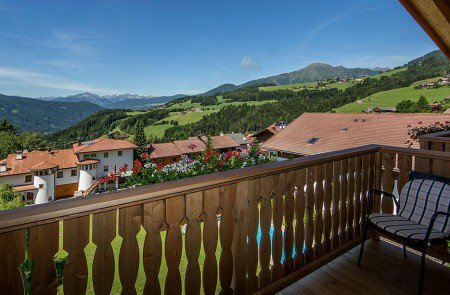 While spending a fantastic holiday in our Nature Hotel Edelweiss, you may look forward to a stunning panoramic view on the alpine scenery! From 1210 meters above sea level, you will have an unspoiled view over deep woods and the Sarentino Alps to the south. Since all rooms of your accommodation in Terento have a spacious balcony, you will enjoy this fabulous mountain view every day! 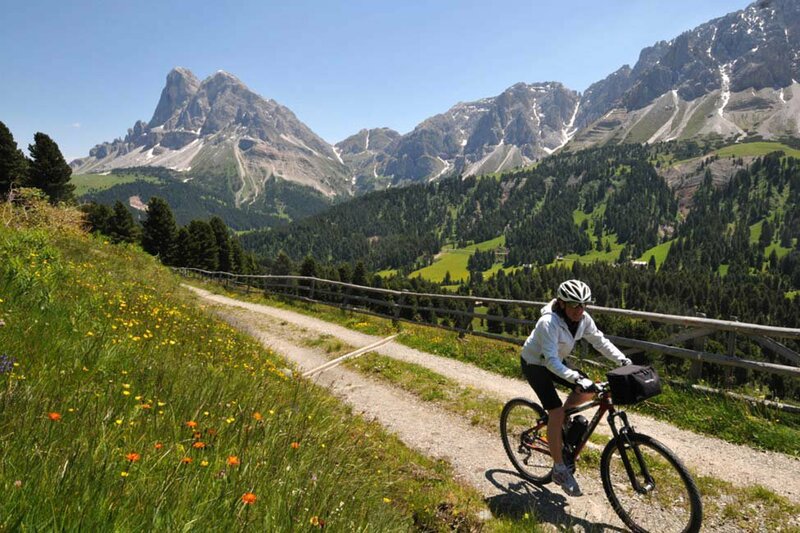 Many hiking and mountain bike trails are just outside your door step – a true paradise for unforgettable discovery tours. 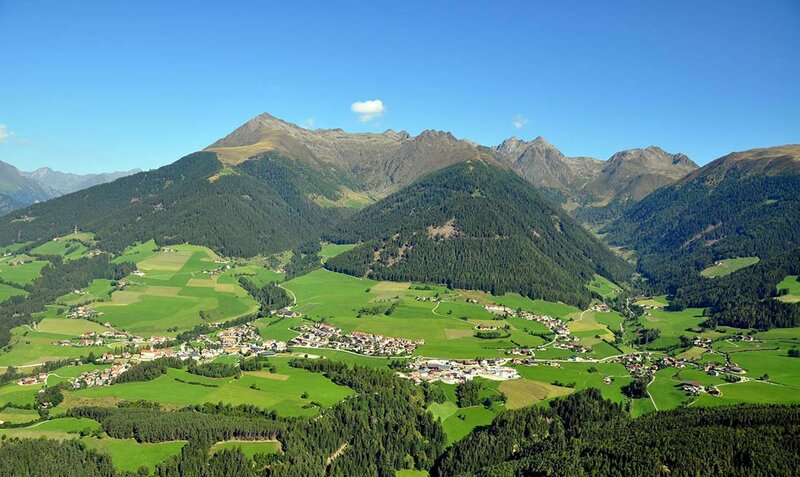 Your village – one of the sunniest places in South Tyrol – is situated between the city of Brunico in the Pusteria Valley and the enchanting episcopal city of Bressanone in the Val d’Isarco. If you are planning to visit us by car, take the Brennero Highway A22. Coming from north or from south, you leave the highway at the exit Bressanone/Val Pusteria. 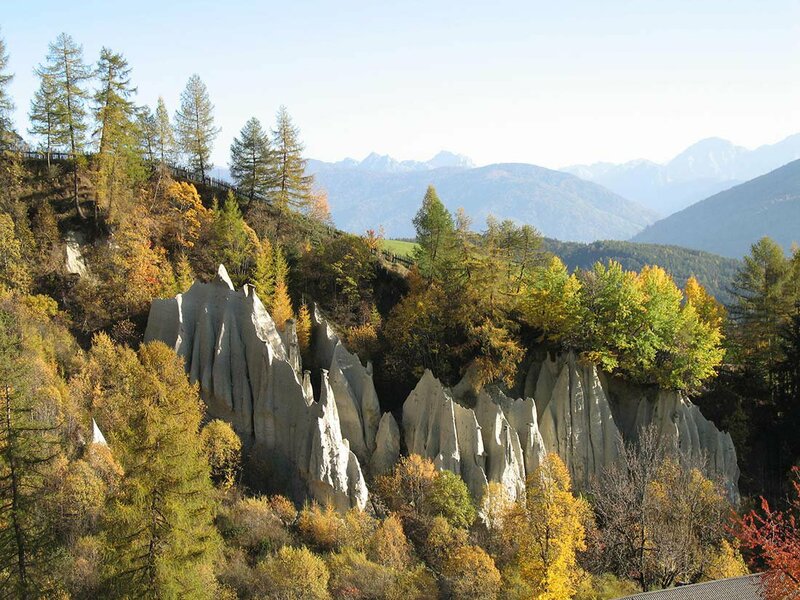 From there, drive in direction Val Pusteria until Vandoies. You will reach the town centre of Terento around six kilometres after leaving Vandoies. Should you arrive by train, take the ICE or the EC to Fortezza, from where you may take the regional train to Vandoies or Brunico. A 15-minute bus ride will take you from Brunico directly to the town centre of Terento. The train station Vandoies is just five kilometres away from Terento; by bus you will reach Terento in only ten minutes. Furthermore, there are great bus connections to Terento from Bressanone, Bolzano and Merano.